Whether you are in Lyon for business or pleasure, Paris Platinum Service will ensure you arrive in comfort and style. We operate 24 hours a day, 7 days a week and when it comes to travel, you simply advise us what you want to do and well take it from there. 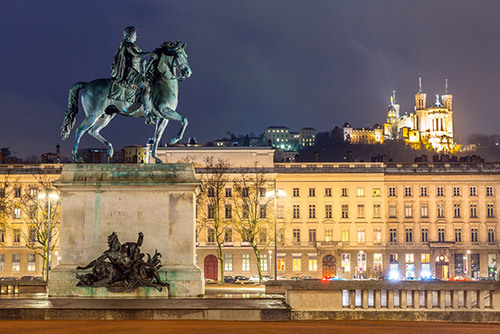 We will take care of all your transportation needs including transfer to and from Lyon Saint-Exupery International Airport, train station transfers, hotel transfers, events, conferences as well as all your sightseeing excursions around town. Paris Platinum Service provides an exclusive chauffeur service in Megève, Courchevel, Tignes, Val d’Isère. We also offer private Geneva airport transfers to and from all destinations in the French Alps. We offer a wide range of new luxury vehicles from Mercedes 4 Matic and VW Transporter and Multivan, Range Rover Vogue which are continually maintained and serviced to a very high standard. We travel all over the Alps to any destination, any distance, any time. Try our Lyon Chauffeured Limousine Services today and experience a taste of luxury!